Tomorrow is a special day… my birthday!!! Sadly I am in Bristol.. ALONE !! It is customary for me to celebrate the day amongst all the loved ones… Jags, Kiddo, Mom , Dad … But this time its different.. new place and new friends!! 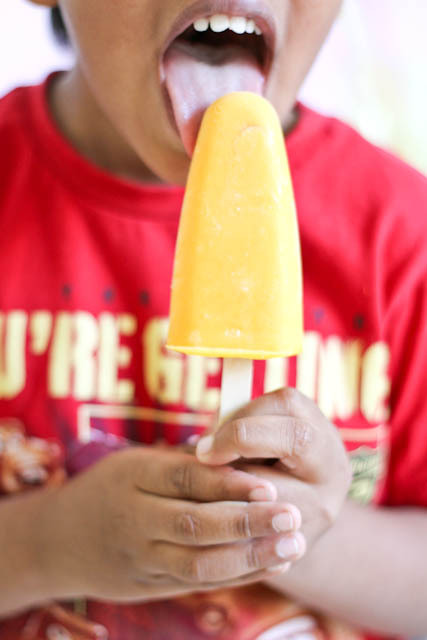 So I treat myself virtually with these delicious popsicles I made last week!!! In a blender combine mangoes or mango pulp, water, sugar, and lemon juice and blend until smooth. Add yogurt and blend until combined. 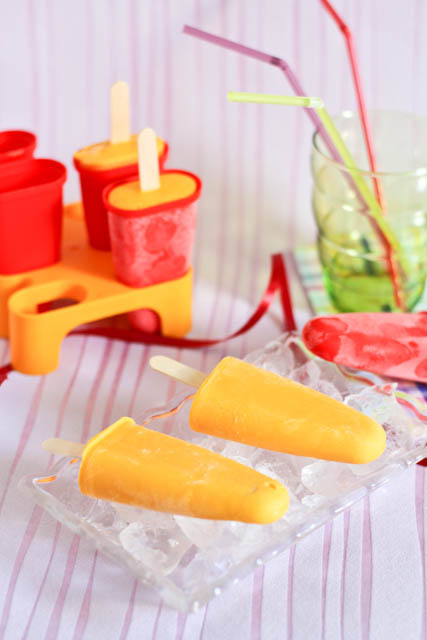 Pour into your ice pop moulds or plastic glasses and stick in ice pop stick. Freeze for 3 or 4 hrs or until set. Thank You Deepa. 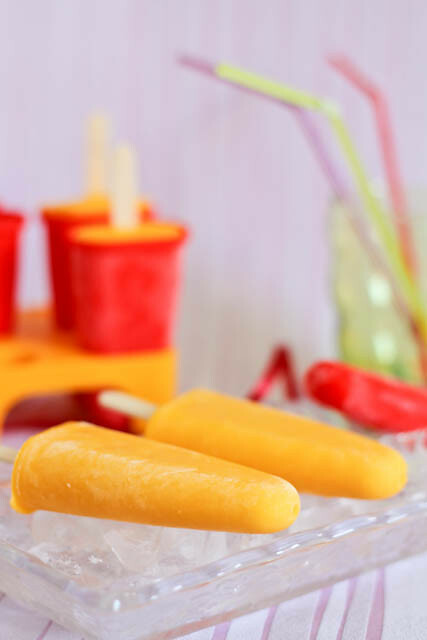 Your popsicles look great too! Happy Birthday, dear Spandana! What a lovely recipe. Love the pics. Those are very beautiful and i am sure delicious popsicles. Happy Birthday! hope you had a wonderful one.